Consider these agenda items to ensure a successful IT-enabled transformation project. Too often, programs lose focus and get caught up in delivering on time and budget but get sidetracked on delivering the benefits. Transformation leaders need to create a culture of benefits first which will enable short-term wins and create the appropriate catalyst to facilitate aligned program decision making. A large part of the transformation leadership’s responsibility is to work directly with the senior executive team in building support and securing resources. Providing senior executives with their own personal game plan on how to be an effective sponsor, along with any assistance they require to implement their plan, will increase the probability for success more than any other specific tactic. Transformation leaders must work hard selecting talent for organizational success from start to finish. What I have learned over the years is when you ask for the A-team players, you sometimes get the average and those that are available. When you ask for the B-team players, you target the bold and brilliant. Once you have landed the talent, be sure to train the new team additions and do not rely or become dependent on your system integrator to deliver all the knowledge about the technology. It is easy to get sucked into the vortex of new technology when you are constantly bombarded by software companies and system integrators. Leaders need to keep in mind successful transformations have six critical elements: Process, Technology, Data, People, Management, Support, and Continuous Advancement. When leaders get distracted by technology issues, they lose focus on the other 5 elements and this is when the transformation becomes an IT project. 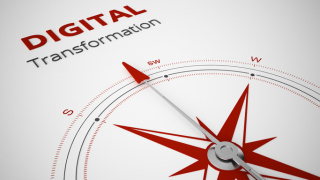 IT-enabled transformations are a team sport. Leaders need to first and foremost hold themselves accountable to deliver on their responsibilities to set a proper example. One of those responsibilities is holding all parties (including your supplier) accountable for everything they have signed up for. One item which frequently derails transformation efforts is the human tendency to be biased. We all have biases that influence our day-to-day decision making. While these biases may have served you well in the past, check your ego at the door. IT-enabled transformations tend to be a once in a career leadership opportunity that requires keen decision-making skills. The most effective way to counteract potentially negative influences of biases is to first recognize that biases exist, and second, drive a decision-making process that purposely works to reduce the influence of biases and leads to rational intelligent decisions. Seeking out multiple points of view or triangulation will help provides leaders with the best opportunity to make the right decisions. While even the most inexperienced project managers typically understand the critical path of a project, few program managers understand the crucial path. The crucial path is defined by the sequence of executive decisions required to ultimately reach the business goals of the transformation. The time required engaging executives to provide enough information that will allow for meaningful discussions and necessary “soak” time is something not easily calculable. Transformation leaders need to develop a sixth sense as to what the big decisions are and then manage the overall process to ensure the necessary decisions will be made on time. The groundwork for a successful go-live is laid at the beginning of the program. Emphasizing and planning the operational continuity early on allows for a wider range of deployment options to be considered. This improves the overall quality of system testing and facilitates the extraction of key talent from the business. Line of business executives tend to be less stingy with critical talent when you explain the need to maintain the seamless operation of their business. In a vacuum of information, people will tend to create their own narrative. Transformation leaders need to aggressively manage the information network and control the message. In formal settings, leaders need to instill confidence in their teams, not so they will follow, but so they will be capable of leading as well. Leaders also need to make sure the flow of information up from the teams and in from the business are not blocked by inhibitions. Numerous studies have shown that transformations are successful about 50% of the time. This high failure rate can be attributed to any number of causes. One significant failure point is the lack of engagement of the transformational leader in a robust and comprehensive program risk management process. Robust processes require the engagement of experienced practitioners with a well-developed situational awareness of IT transformational program efforts.